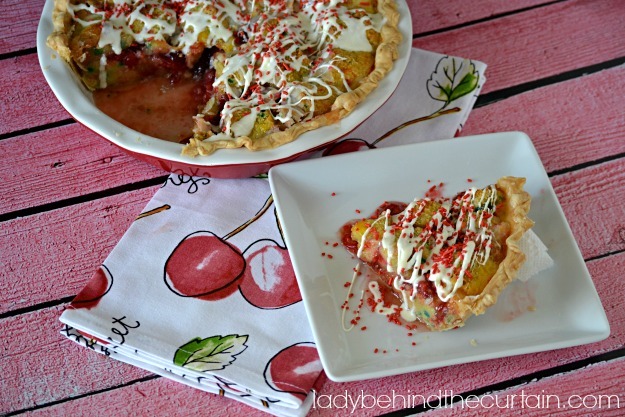 Cherry Cupcake Pie | One of my favorite ways to make a rich, moist and gooey pie is by using a secret ingredient that you can buy at the grocery store. You would think the frosting on top would melt but instead it dries out and becomes crunchy meringue cookies. 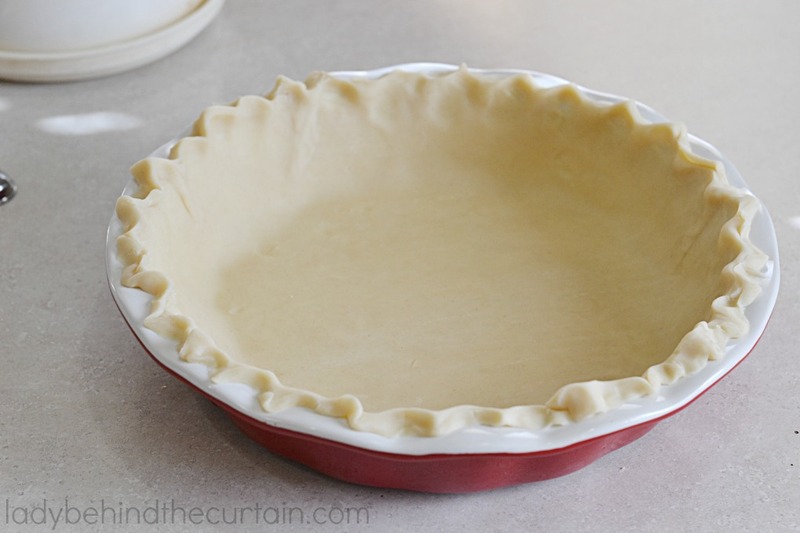 Line a pie pan with a store bought pie crust. 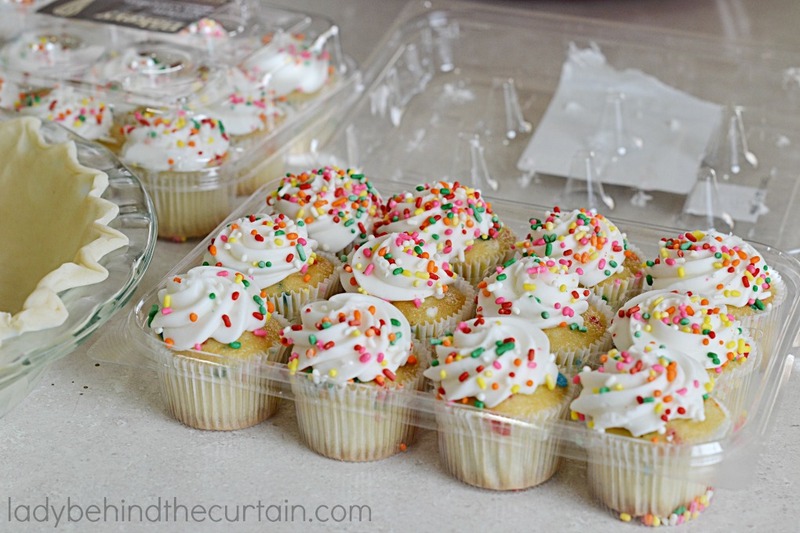 Add a layer of cupcakes (one container). 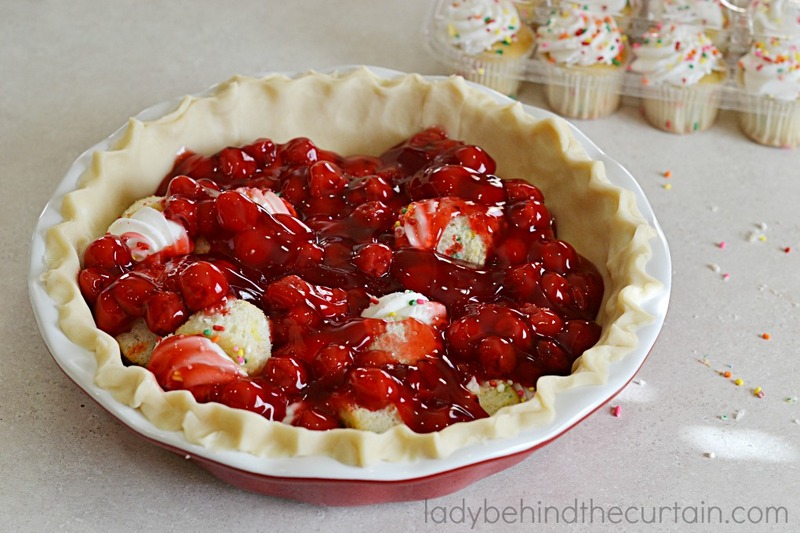 Top with cherry pie filling. 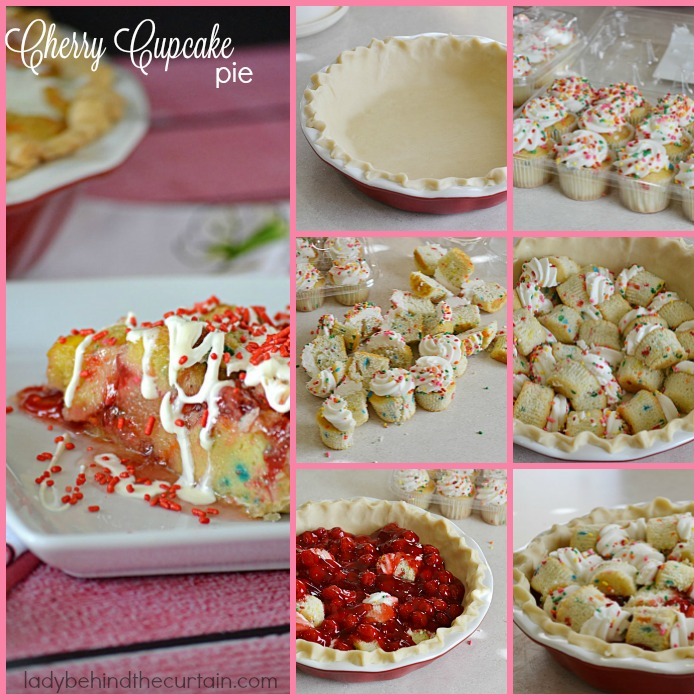 Finish with the remaining cupcake halves, pour custard over pie and bake. Scoop or slice it doesn’t matter and don’t forget the vanilla ice cream. I also have a yummy Snickerdoodle Cupcake Pie and a Peanut Butter Chocolate Cupcake Pie for you to try. Spray a 9-inch pie plate with non stick cooking spray. 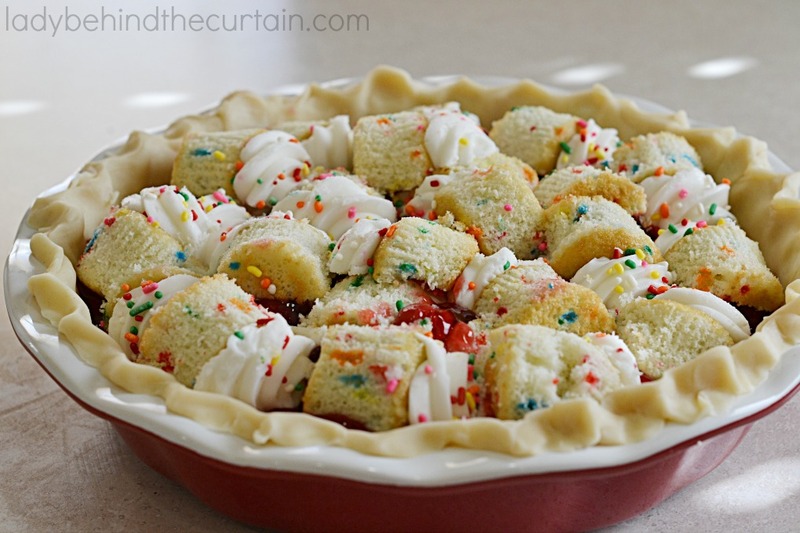 Gently unroll the pie crust to fit into the pan. Crimp the edges and set aside. 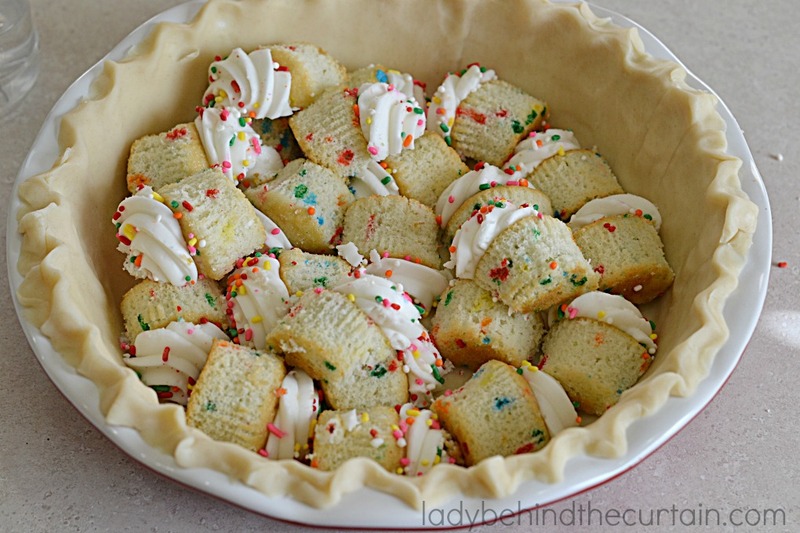 Cut each cupcake in half and lay HALF down in the prepared pie plate making sure to fill any air pockets. Equally disperse the cherry pie filling. 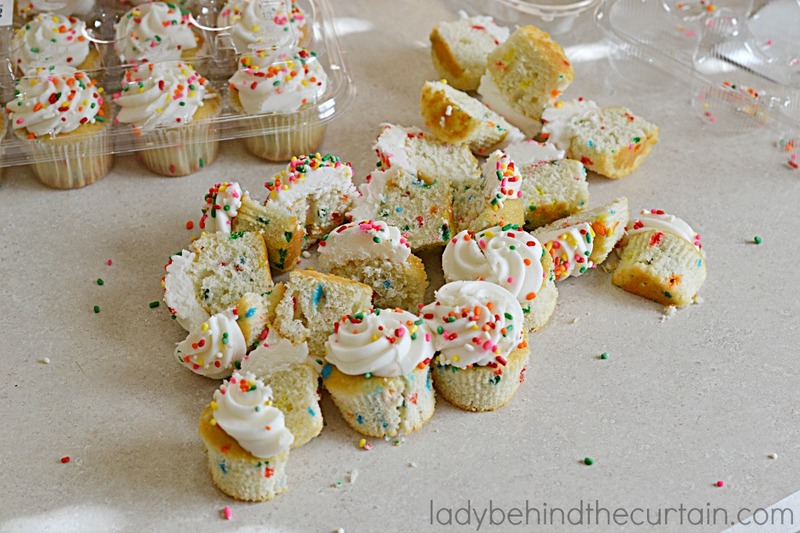 Top with the remaining cupcake halves. In a small bowl mix together the eggs, sugar ,vanilla and vinegar until well combined. Slowly pour the custard over cupcakes making sure to coat each cupcake with the custard and evenly distributing it. Bake 48 to 50 minutes or until the center when a knife is inserted into the center comes out clean. Cool on wire rack completely before adding the drizzle. Place frosting in a microwave safe small bowl, and microwave in 15 second intervals until frosting is melted. I’m stopping by from the Pi Day Party. What a great idea for a pie, I’m loving this! I pinned it to my PIE board. Hope you’re having a fabulous Friday! Wow. This looks incredible. 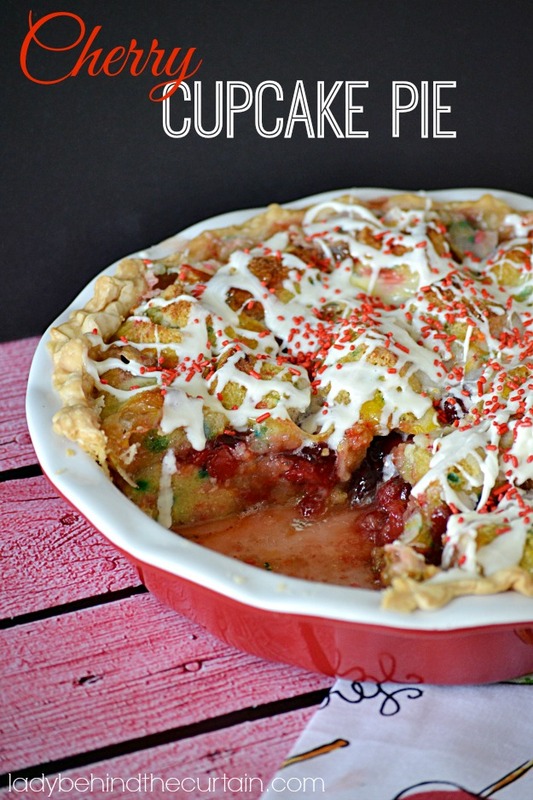 I wish I’d had this recipe earlier so I could have brought it for Pie Day at work! What a clever idea for a pie! This looks delicious! This pie is my kind of pie! LOVE! 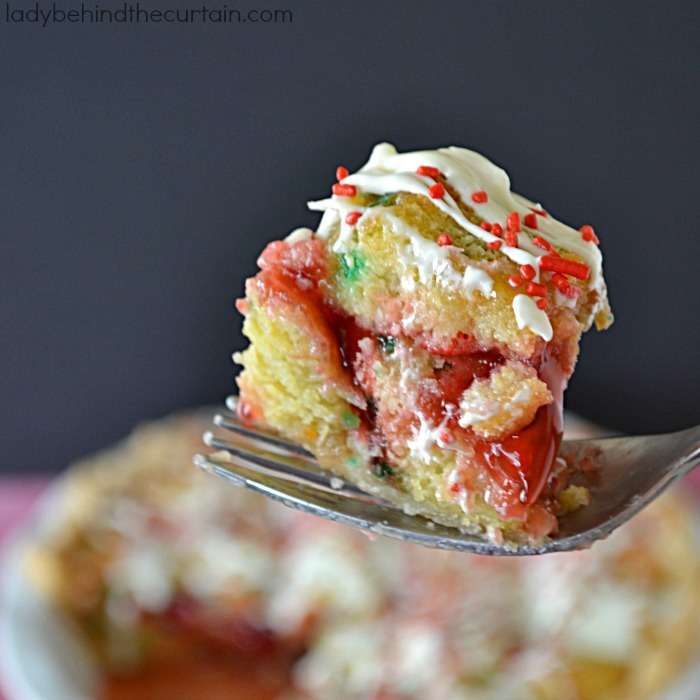 Love the concept of a cupcake pie! What a unique idea. It sounds like so much fun to try! 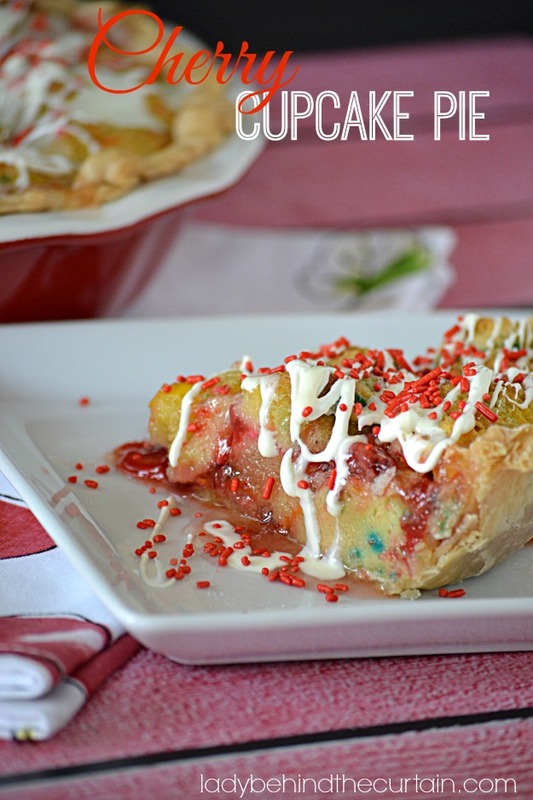 CUPCAKE inSIDE a PIE? I die. Love. 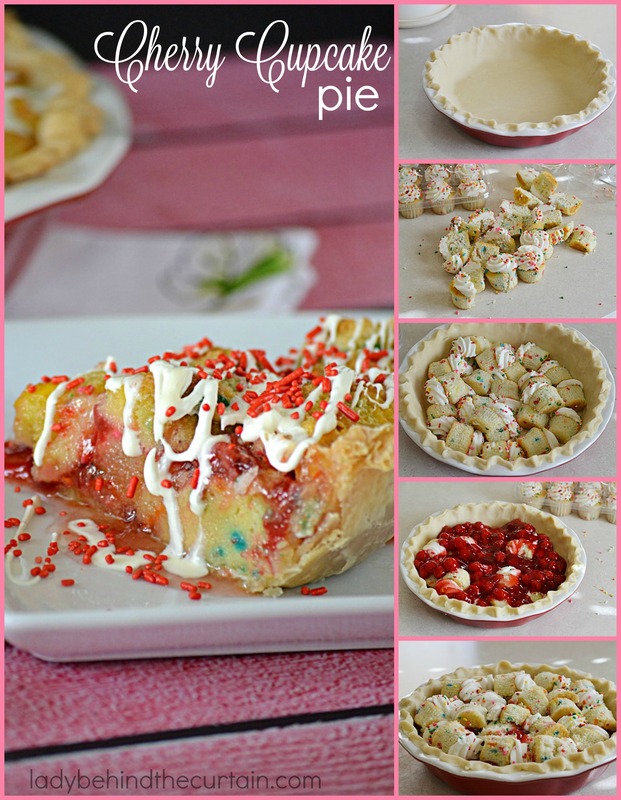 What a fabulous idea for a pie, you are sooo creative! !